Tonight there is an almost full moon. My calendar says that the full moon is on Sunday, but it is almost there. I decided to open up the tripod that I purchased recently and try it out. I had been wanting a tripod for some time and never got around to buying one. I would always think about it when I needed one and then never follow through with the thought. One time that I wished I had one was during the last eclipse. This is from my post Eclipse Practice and was taken with the camera just held in my hand. I had some halfway decent pictures of the eclipse in my post The Blood Red Moon, but they would have definitely been better with a tripod. 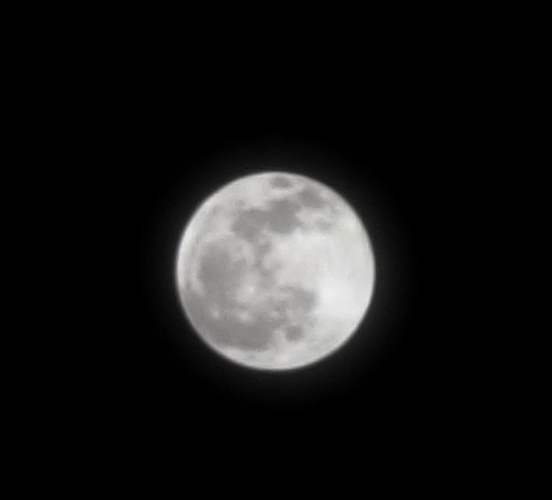 Tonight I tried different exposure settings to try and get a nice clear picture of the moon. You must remember that I only have a Small Camera. I also don’t know much about exposure times, F-stops, etc.. I am learning. I took this picture with the exposure set at 1/800 with an F-stop of 4.9. 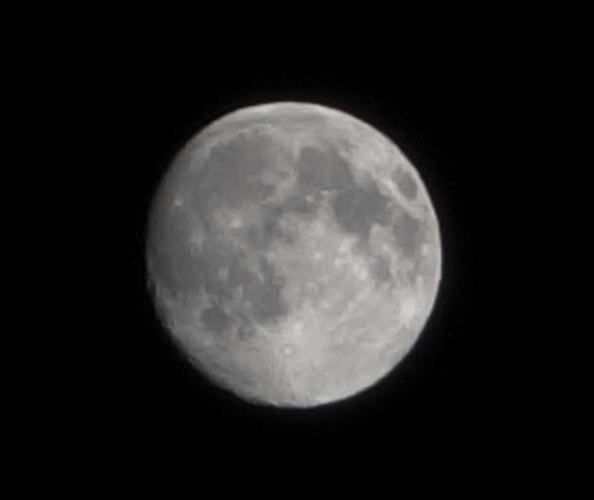 The picture is pretty clear and you can see some detail in the craters. This one is with an exposure time of 1/2000. I can tell that it is much darker since the sensor did not have as much time to gather light. However, it is still mostly in focus. I think that this is the best one that I took tonight. 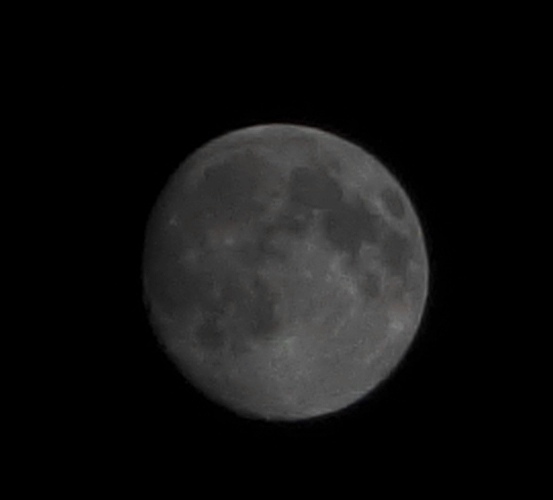 The exposure time is a little longer at 1/320 and you can definitely see more detail. 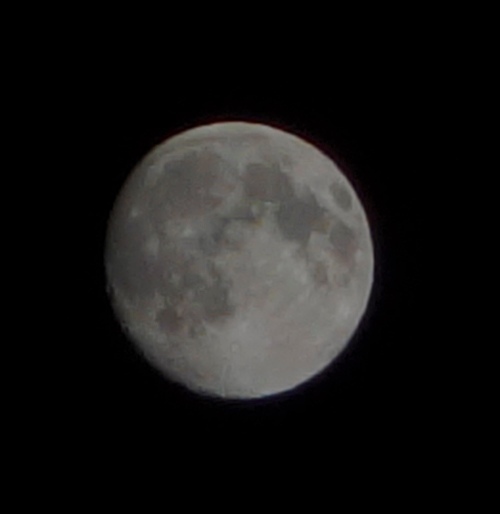 I guess it is not too bad as I only have an 8x mechanical zoom. Now to figure out what to test the tripod with next. Maybe some more Night Sky pictures. This entry was posted in Astronomy, Nature and tagged Craters, Eclipse, Exposure Settings, fireworks, Full Moon, Moon, Moon Pictures, Night Sky, Photography, Tripod. Bookmark the permalink. I think those are all pretty awesome Steven. August 11th is the next Super Moon.